The video for "Is This Love" seems to tell the story of a man spiraling out of control, possibly over the breakup of a girl. Whatever the man is upset about, he's acting out, doing drugs, drinking heavily, having a mad revenge makeout session - you know, the usual. In one poignant scene, the man is seen fondling a necklace or locket of some kind, presumably left behind by an ex girlfriend and the object of all his desires and now...pain. Whatever the background story is for this video, it's pretty deep. The actor featured predominantly throughout gives a devastatingly, heartbreaking performance. The video serves as the perfect complement to Grimshaw's stunning debut single; the hard gritty drum & bass beats echo the anger and intensity, while Grimshaw's sensitive falsetto perfectly captures the raw emotion of it all. Gorgeous. 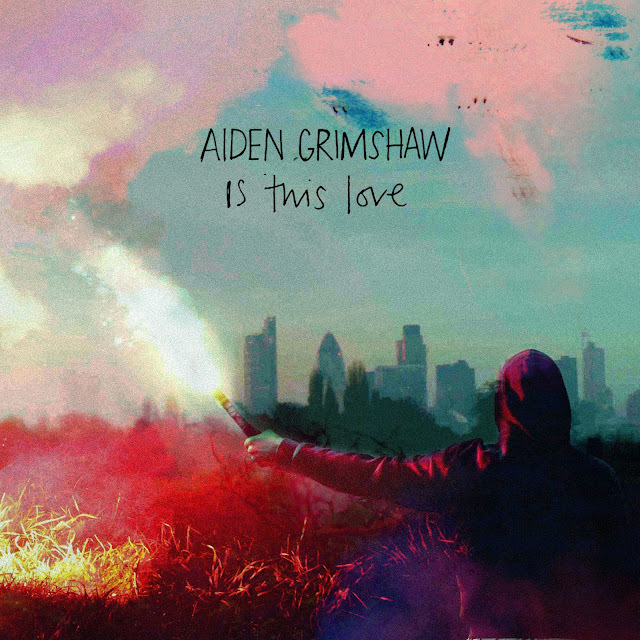 Written by Grimshaw himself, "Is This Love" is out June 3rd on RCA Records, the first single taken from his debut album, Misty Eye, due August 13th. The entire album was co-written by Aiden and produced by Jarrad Rogers (Lana Del Rey, Tinchy Stryder) containing all original material. Aiden first started breaking hearts and taking names on The X-Factor back in 2010. His brilliant audition song, a rendition of Kanye West's "Gold Digger" went on to become one of the most watched videos on YouTube. Following his untimely demise on X-Factor, Aiden moved home to Blackpool and started working on his music. Grimshaw dove head first into his music, writing and recording demos for the next two years, eventually hooking up with Jarrad Rogers, whom Grimshaw calls his "musical soul mate." Check out the stunning video for "Is This Love" BELOW (UK ONLY at the moment). UPDATE: U.S. fans can watch the video HERE. I know :-( I tried desperately to find another version of the video on the interwebs, but it doesn't seem to exist yet. BLAH.